Prior to doing this I am going to make my comments on the quality of chambers because every time I say recommend the Oxyhealth hyperbaric chamber people get defensive as if I am tying to make them spend more than they should on chamber. There are cheap hyperbaric oxygen chambers and there are more expensive chambers. In this industry a chamber of good quality such as the chamber Oxyhealth develops, is usually bought for for a lifetime investment, not temporary usage. There chambers just don’t wear out but you pay for that up front. A cheap chamber is just that. There are numerous articles about the other brands where their chambers have not lasted even throughout their warranty period and extended warranties, especially if used in commercial settings, are not honored. Most people with limited money buy these chambers that have to get fixed all the time. It's not a problem unless you can afford 400 dollars every time it needs to be serviced and be without your chamber for 2 to 3 weeks. 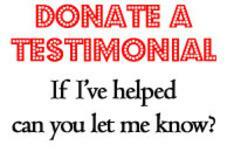 Again, I have heard no reports of Oxyhealth hyperbaric chambers from all the people that have emailed me that I have called since 2010 when I started my site. There are certain people that can only afford a few thousand that may want the cheaper models around 4 to 5 thousand but I am very cautious on selling these depending on the person's situation who is using them. ​Customers who have the cheaper ones are continuously in fights with the manufacturers when they say that they won't replace or fix something cuz it was the users misuse, not theirs. With that being said, here is some information about their chambers. 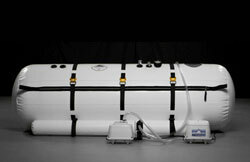 OXYHEALTH HYPERBARIC CHAMBER INFLATION TIME – Each dive in a Hyperbaric Chamber will last between 1 and 1 ½ hours. This does not include the inflation time. Please allow approximately 5 minutes for the chamber to inflate and another 5 minutes for the chamber to deflate. The Oxyhealth chambers, especially the 320 model, is the largest and will take a longer time to inflate than the 23 or 28 inch chambers. This will vary slightly depending on the size of the chamber and the compressor type. You will want to deflate at a slow pace when you have been under pressure for one hour. Some make more noise than others. BUCKLES ON CHAMBERS – Some chambers use seat belt type straps. These straps are designed to take the pressure off of the zippers that are used to seal the chamber. The zippers being the weakest part of the chamber and the one area that you are vulnerable to problems in the future the belts help extend the life of the chamber and zippers. These are easy to use and generally cause no problems. They do make it a little tougher to operate than a chamber without buckles and make it especially harder when trying to get in and out of yourself. Oxyhealth is the easiest chamber to get in and out of and has no buckles, straps, or belts. The zipper is far superior than any other and it does not require seat belts. OXYHEALTH HYPERBARIC CHAMBER ZIPPERS – The Oxyhealth zippers are the weakest part of the chamber and at some point in time in the life of your chamber may have to be repaired or replaced. Commercial clinics will use these chamber for 8 hours a day 6 days a week and go years without needing to replace them but every once in a while a problem will come up in this area. The Oxyhealth chamber uses a double zipper system. This makes their chambers extremely easy to enter into and exit out of – by yourself. Other hyperbaric chambers, use a triple zipper system and they use a belt system to help keep the pressure off of the zippers. This triple zipper and belt system makes it almost impossible to use this chamber without an assistant to help you in and out. However, the difference in price between the two units makes this an option to seriously consider. OXYHEALTH CHAMBER NOISE – All hyperbaric chambers come with a set of compressors to generate the pressure in the chambers. While they all create some white noise, for the most part this is not an issue and most people comment that it helps put them to sleep while they are in the chamber. The noise is not a distraction. There is a different pitch and tone to their compressors than the cheaper compressors on the budget chambers from other brands. OXYHEALTH HYPERBARIC CHAMBER SEAMS AND WINDOWS – In a quality chamber these are not an issue and you should very seldom ever have any problems with them. In a less expensive chamber, however, these seem to definitely be an issue. All components in a less expensive chamber are of lesser quality so they all become suspect to prolonged use. The seams on Oxyhealth don't have any complaints from anyone I have ever asked that has owned one for at least 5 years. OXYHEALTH CHAMBER VIBRATION - There is no vibration issues in the Oxyhealth chamber and with the compressors there is no noticeable vibration. Their compressor they use are the highest quality and are the expensive types that most companies don't use. OXYHEALTH CHAMBER AIR QUALITY – If you are using an Oxygen Concentrator with your chamber then you will be using a mask to breathe the oxygen generated by your concentrator. With most units you will be breathing somewhere between 93% to 95% oxygen. If you are not using a concentrator then you will be breathing around 21% room air. When air is under pressure it naturally gets warmer. HEAT – In all hyperbaric oxygen chambers heat can be an issue especially during the warmer months. It is also more of an issue in smaller chambers than it is in larger chambers. Even with this being said, some will be affected by this and others won’t. Some people want a fan when they get into a chamber and others want a blanket. Same chamber, same day, same room, same temperature. You may find that a battery operated fan is all you need to keep you comfortable. There are also cooling units that can be purchased and they run approximately $350. I would recommend waiting to purchase a unit such as this until you see whether you really need it. OXYHEALTH RELEASE VALVES – While the majority of these are made out of plastic you should not have a problem with these. ENTRY INTO CHAMBERS – Typically there are two ways to enter into a chamber. One is from the top and the other is from the side. All chambers can be adapted to enter from the side just by putting them on a platform and turning the chamber sideways. Chambers designed to enter from the side though typically cannot be adapted to enter from the top. A word of note is that seniors sometimes have a harder time entering from the top. This usually is not such a problem in getting in but is hard for them to get out because of knee and or back issues. ​There are some companies that have used Oxyhealth hyperbaric chambers and the newer ones with a year or two to date are the most expensive. Chambers that are 4 to 7 years old are much cheaper. Make sure you buy from a trusted source that has inspected them. The newer used hyperbaric chambers are the quickest to usually sell. If you need to try the Oxyhealth brand, there is almost always a clinic in every state that you can try one. If you want to see if this brand is right for you, please take my hyperbaric quiz. If you want me to search for the best price for a used one before I contact you back, let me know in the comment section on my quiz. Hyperbaric-dives.com, one of the least expensive buckle/belt chamber systems. This is the chamber that takes a lot of heat as it is the most compared against. One of the top 2 best selling brands on the market. Newtownehyperbarics.com, the latest newcomer on the market. So far, I have only heard good things and no complaints. The are the cheapest priced chambers I have reviewed. They have only been out for a short time so only time will tell what happens. So far so good. 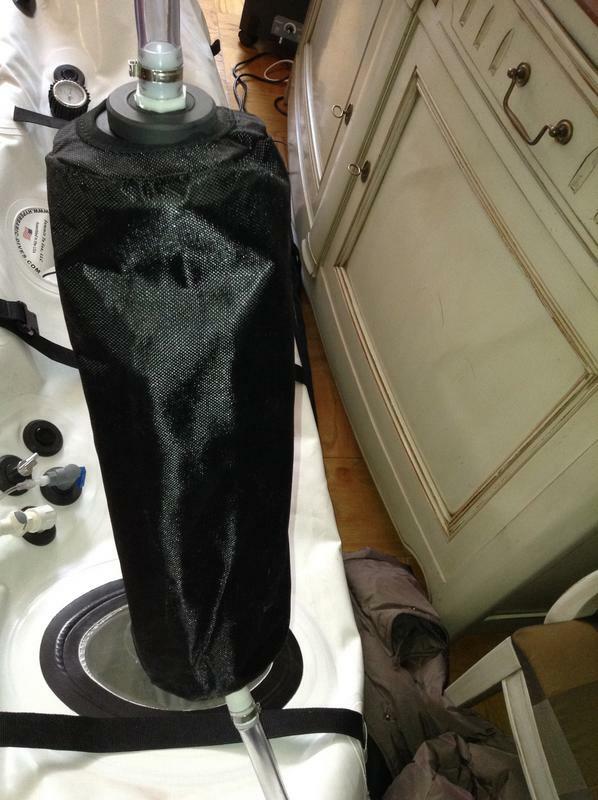 Oxyhealth.com, the only strapless, non oiled zippering chamber on the market.The Vitaeris 320 is what sets the bar for all hyperbaric chambers I compare different models to. 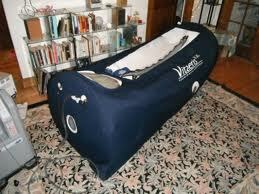 Call to see if we have any Oxyhealth Vitaeris 320 hyperbaric chambers as demos. This is our most popular model by Oxyhealth and the Solace we have as demos often too. 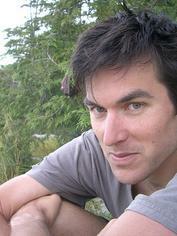 I reserve used Oxyhealth Hyperbaric Chambers for Autistic children and those with Lyme disease. I will sell my used Vitaeris 320 chambers only if I don't have a wait list for people with other needs. zipper takes a little longer to massage and get into but is commercial grade. Worth the extra time. The zipper is totally different than the other manufactures. The bladder protects from any leaks in the zipper and the pressure on their zipper. Their chamber has the largest windows and most costly to build. Made for commercial use. High traffic clinics. Their treading is super thick and I have not heard any stories of leaking though the seams. The zipper is smooth to pull up from the outside. If a person is zipping themselves up alone, it can take longer to massage that grey bladder. They use super high end commercial hoses and pressure gauges. Used chambers. See my home page for how I came up with this. I am going to buy a new chamber, use it for some videos or demonstrations for one session. I will film the serial number and show the date of the shipment from the manufacture. There is no rule saying I can't sell a used chamber. Used one day or used 5 years. used is used. If anyone wants to get a "used" chamber at my used price, call me. I have always wondered how everyone is getting year old and same year chambers to sell as used. They are buying them and using them a few days and reselling them. I am gonna play the same game now too. But the difference is, all these years I couldn't get used ones and now I now how they are getting them. The difference is, who will sell them the cheapest.! Call me if you want a used chamber. All chambers will have a serial number that can be verified and shipment date from the manufacture. Please take my quiz below before you call. 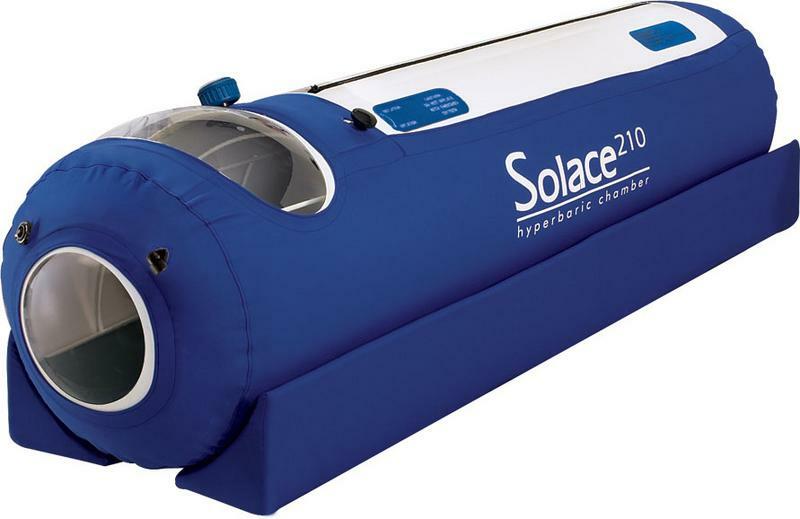 As of 2014, there has been a huge drop in price in the hyperbaric chamber market. The new E Series 40 inch chamber is gigantic but with ZERO bells and whistles. I put one of these coolers in between the compressor and where the air goes into the chamber. This dampener also dampens the sound so its quieter in the chamber, especially chambers that have higher powered compressors. In the summer, I cannot go in my chamber without one of these or I start sweating. It is not fun to go in a muggy chamber. These get the air about 10 degrees cooler. The only time I don't use these to keep it cool is when I have 2 compressors running one chamber. This moves the air more so there is less condensation in the chamber. Many people want it quieter and many want it colder. This does both. I give these free with any chamber that I sell.